PLANETS? 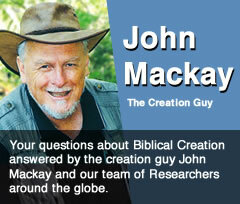 Why does the Bible only mention the creation of stars, and not the planets? Genesis chapter 1 verse 16 reads “he made the stars also,” where stars is a translation of the Hebrew word ‘kokab’. (see Strongs 3556) All modern English versions use the word ‘star’ here, so what about planets? Where do they come from? Actually, I still remember learning in my Year Eight science book (many years ago of course) that the ancient Greeks gave us root words like aster, from which we derive our word ‘stars’ and our word ‘planet’ was originally hooked on to it as asters planetai which had a far more useful and pragmatic definition that the current definitions of a planet. If you look up the meaning of planet today you usually come across definitions that are totally evolutionary such as ‘a planet is an accretion of matter which has enough gravity to make itself round and has cleared the nearby space of matter’. However, my old high school textbook gave a very simple definition, which also helped us figure out the meaning of an old and famous movie song “I was born under a wandering star”. The Greek’s definition was simple; ‘stars’ are fixed luminous bodies, and ‘asters planetai’ are moving stars! Sadly we have dropped the first part, and in doing so lost meaning in our own language. Genesis chapter 1:1 which is the first verse about the creation of the heavens and the earth, uses words whose definitions have not changed since the first English translation in the 1500’s, but the meaning of the word ‘stars’ then referred to both still and moving stars, so the creation of the planets was automatically included. The real culprit here is the lack of education about the history of modern English, as well as an ignorance of the Bible. Again it’s reminder that if you listen more carefully to a sceptic’s criticism of Genesis, you will usually hear more about the ignorance of their own language, as well as a lack of knowledge of the how and why of common sense Bible translation.